SO many things I love on this post! The nail polish #todiefor. The kimono and vest with pink trim #dying. and YAS to that pajama top! Not ready to let go of summer either! 'Waking up is hard to do' was my exact thought as I sit in my bed knowing I have to get ready for work! Don't you love being able to fit into kids stuff? Not only is it cheaper but they also have some really cute stuff! I almost picked up that herringbone vest but I know I won't get to break it out until like November lol! This just convinces me that I need to get a kimono (or two) into my life! ha i love how we both did instagram posts today :) love your snaps! i can't believe i don't follow you yet - getting on that! I need those rainboots! They will be perfect for the fall season coming up. Great Instagram round-up! 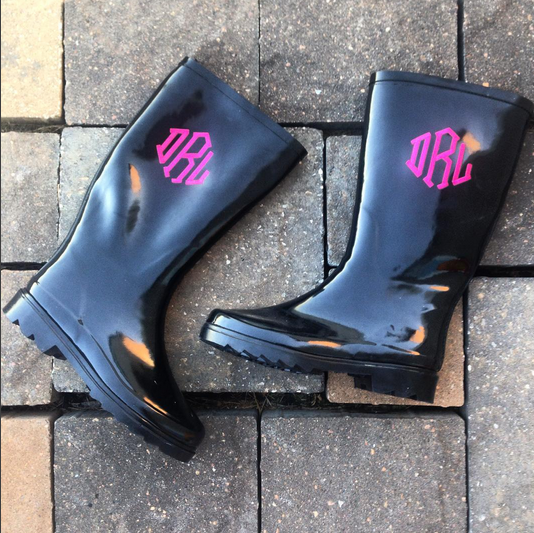 How cute are these monogrammed rain boots?! I love anything with a monogram!! Happy Wednesday! i want to read paper towns!! i've only read TFIOS by him and have heard great things about the others. I love seeing all of your photos on Instagram!! My favorite was the Waking Up Is Hard To Do shirt! Loving that vest with the pops of pink and your monogrammed rain boots - too cute! Monogrammed boots!!! Those are adorable! & the pink trim. YES YES YES - I need that! Darcy, I love those boots and vest! They are so pretty! Thanks for the book recommendations. Whattt!! I love that hot pink trim on the vest! Thanks for the book recommendations, as for the pyjama top it's gorgeous! Definitely not ready for summer to be over! May have to give that book a try! so many great pics! I LOVE that vest w the pink lining and the monogrammed boots, so so cute!! Between the adorable rain boots and the gorgeous kimono, I want it all! That vest is too cute for the cooler weather (whenever it finally shows up!). Love them all! Really like those boots and your blue nail polish!! Have an excellent day!! Loving that kimono! Also the Paper Towns movie is worth seeing. I always love the books better but this adaptation transferred well to the big screen. It's a sweet story as you know, and the movie definitely had me reminiscing about high school and college memories and friends. Happy Wednesday! You used my favorite words in this post..."kimono" and "50% off." I will definitely be checking that out! I'm also adding the book to my Kindle wish list. I have not read Paper Towns yet, but need to! That herringbone vest with the pink trim is SO cute! I LOVE that vest! Sometimes shopping in the kid's department is the best! 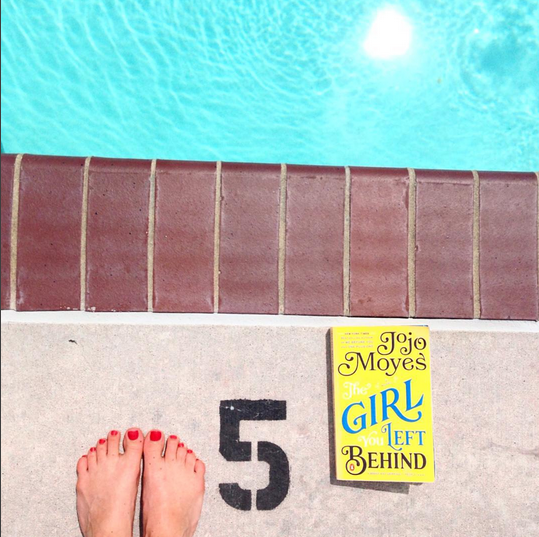 The Girl You Left Behind is on my reading list, I have got to get to it! I absolutely love that vest with the pink trim since it is different from everyone's white! I used to always shop the girls section at places like that to get better deals but most of that stuff doesn't fit me anymore. Boo! 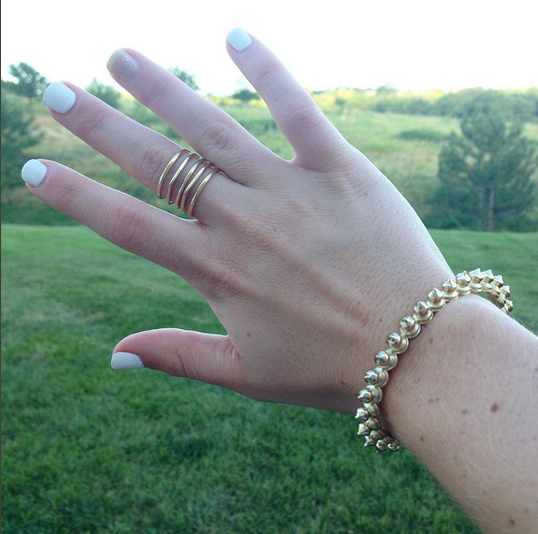 I have the Stella and Dot ring too and I love it! That pink trim herringbone vest is super cute too! That vest is adorable with the pink trim! I never thought of checking out kids sizes! I have Girl Left Behind on hold at the library and I can't wait to read it! Waking up IS hard to do! Nailed it with that tee! Love-Love-Love! Fun and creative sharing on instgram. 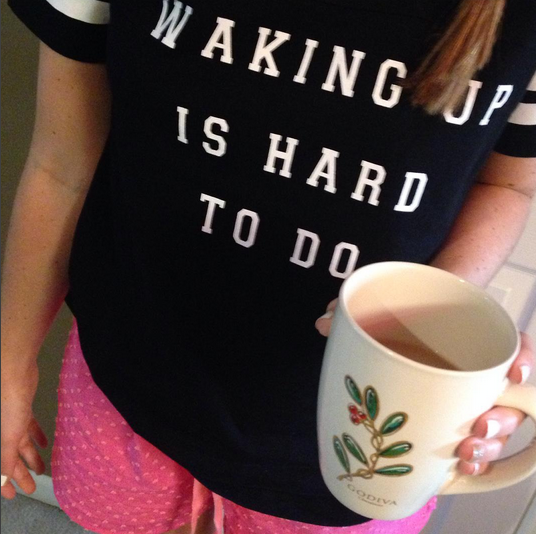 Love the waking up shirt. I desperately need that pajama top! And I love your kimono! I love the hot-pink detailing on the classic JCrew vest you have on. It looks so young and feminine. I'm also feeling your stack rings. So fun! 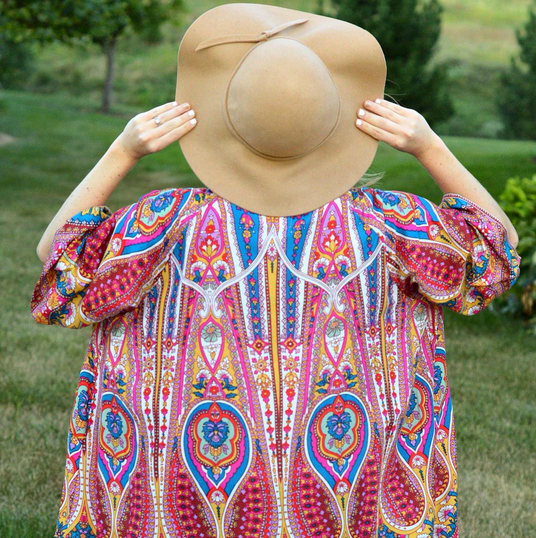 LOVE that kimono and floppy hat together! holy smokes those monogrammed rainboots! they'd make any southern girl swoon! I love that vest and those rain boots are amazing! Great pictures! Love the photo with your kimono top and floppy hat! I loved all these posts/pics! 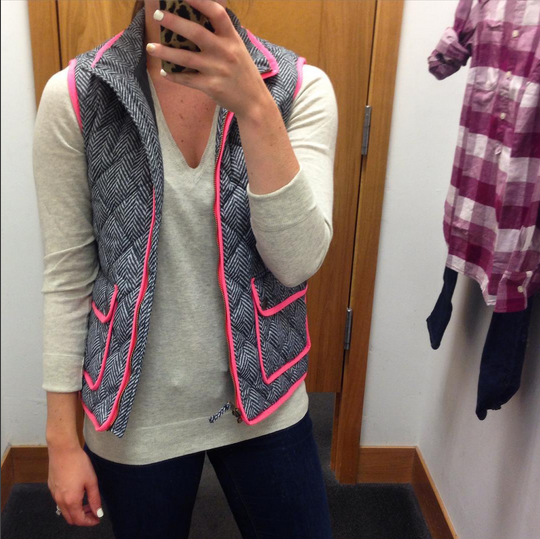 Herringbone vest with pink trim and rain boots are my favs!!! I love insta round-ups!!! Love that vest and your pool picture!! i love that pop of pink on that ever popular dress! There's so much good stuff in this post! The Girl You Left Behind is one of the best books I've read in the last year. So. Good. Your Insta is always too cute! You're so adorable! 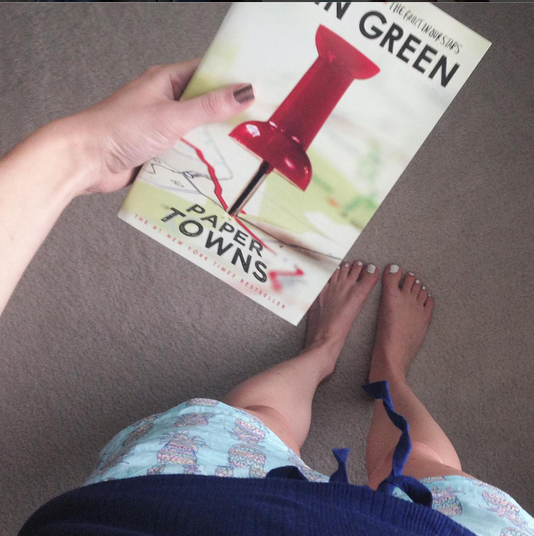 I read Paper Towns and now want to see the movie so bad! Whaaaat, "The" vest with pink trim!!! LOVE!! And No......Summer don't go!!! Great insta recap. That waking up is hard to do tee is just the cutest. Great recap - how fun is the pink trim on the vest! Girl, I am by no means ready to say goodbye to summer so I am with you on that! Great post! I love the vest it looks really nice with the pink edges, and cute kimono love the colors. And although I will never be a fan of rainboots and my feet will never go near one unless there is a major flood and I need to wear one, I love the idea of customising your own that's great. Great recap!! The pink trimmed vest is SO cute and so you. I hope you got it! Love this roundup! Seriously adore that vest so much! I love a good Insta roundup, I get to enjoy all my favorites from your IG! :) I love that herringbone with pink trim...I love that it's from the kids section because one of my favorite faux fur vests from like a year ago was from the little girls section at Target! ha. Great roundup! Love the vest with the pink trim, too cute! the girl you left behind was SO good! Love that vest! I may need to get it for my daughter so she can match mine from a few years ago! I love Insta round ups yet I've never done one... think I may need to change that! And love that vest with the pink.. .so fun! Obsessed with that vest! That pink trim! Love! the love vest with the pink trim! i just added the latest Jojo Moyes book to my list..
THAT VEST!! i love it so much! Loving that vest and those rainboots! Such beautiful pieces, I adore that vest! The pink trim is so perfect :) I hope you have a wonderful day and start to your week, girlie! You're totally the only one not ready to say goodbye to summer...I say bring on the blanket scarves and pumpkin everything!!! That vest is adorable with the pink trim! I hadn't seen it! That vest is so cute! To bad at 5'7" it would look tiny on me. I love your PJ bottoms and I will have to add the Jojo Moyes book to my list! Oh my gosh - that vest with the pink trim - I have to have it! I know this is a super old post, but I'm really interested in the vest! I'm shorter but do you think it would look good still?